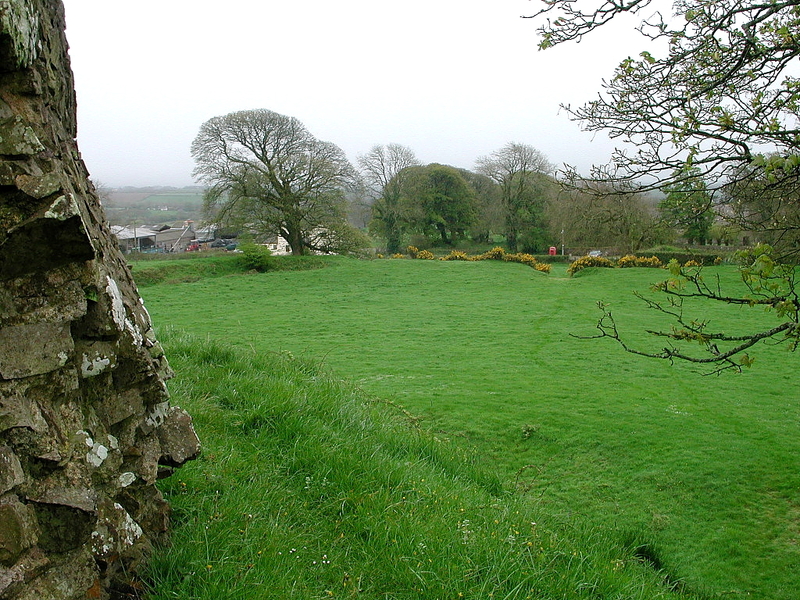 Above: view of the motte at Wiston from the church parking lot across the street from the site. 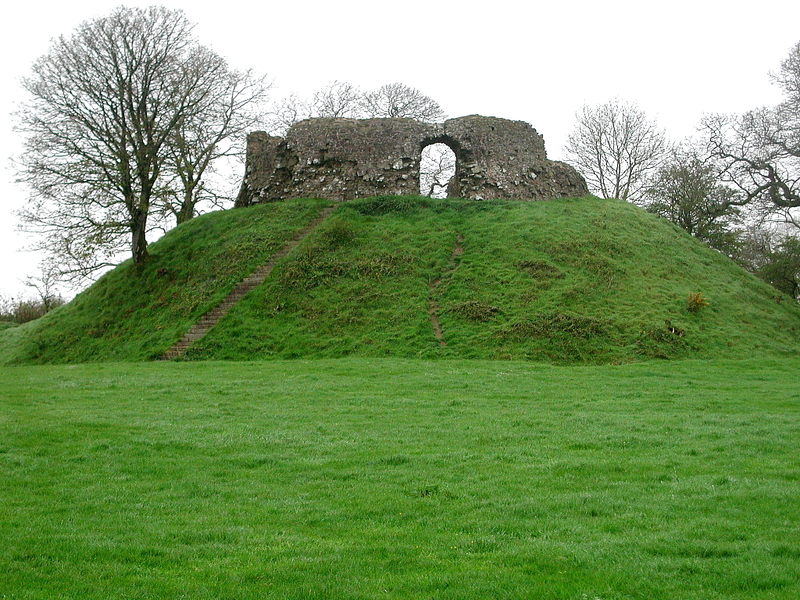 iston must rank as one of the best-preserved motte and bailey castles in Wales. It was named after, and probably built by, an early Flemish settler with the improbable name of Wizo (in Latin) or Gwys (welsh). Wizo was dead by 1130, but the castle is first mentioned in documents in 1147 when it was taken by the Welsh. It was again taken by the Welsh in 1193, when it fell, apparently with the aid of treachery, to Hywel Sais, the son of the Lord Rhys, but was recaptured in 1195. In 1220, however, it was captured by Llywelyn the Great, prince of Gwynedd, during one of his campaigns in south Wales. The local people were told to help William Marshal, earl of Pembroke, to rebuild it. Whether or not this rebuilding took place is uncertain. 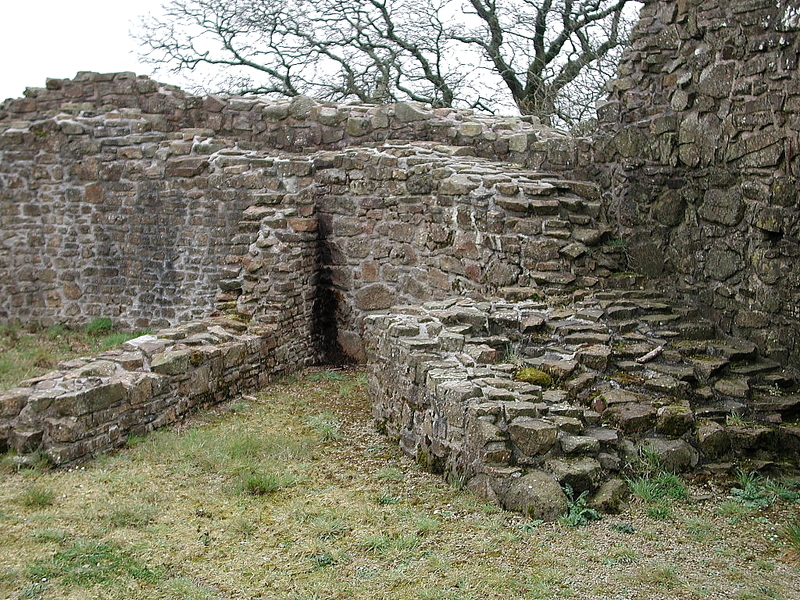 The masonry shell-keep could be his work, but the style of the arch suggests an earlier date, and it is quite possible that the fallen masonry which still lies on the north was brought down during Llywelyn's attack. 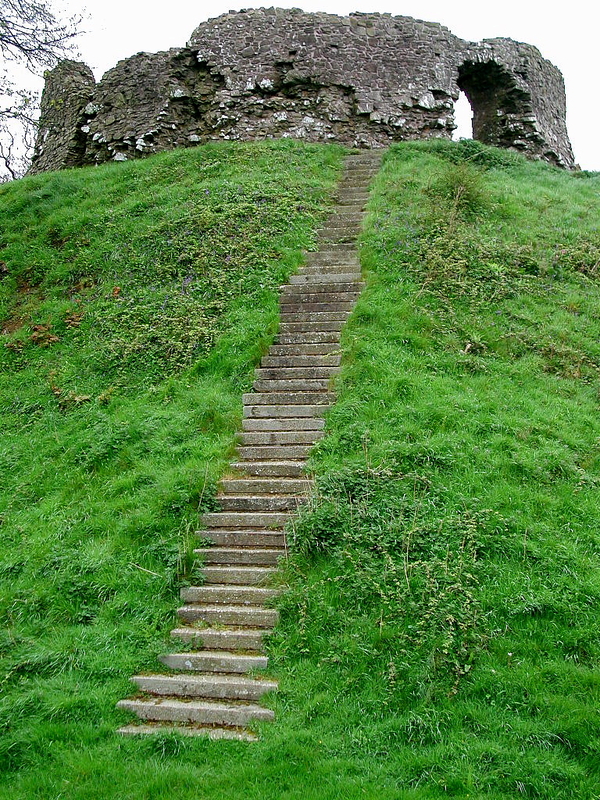 Below: Wiston's stone shell keep rests atop the impressive motte. 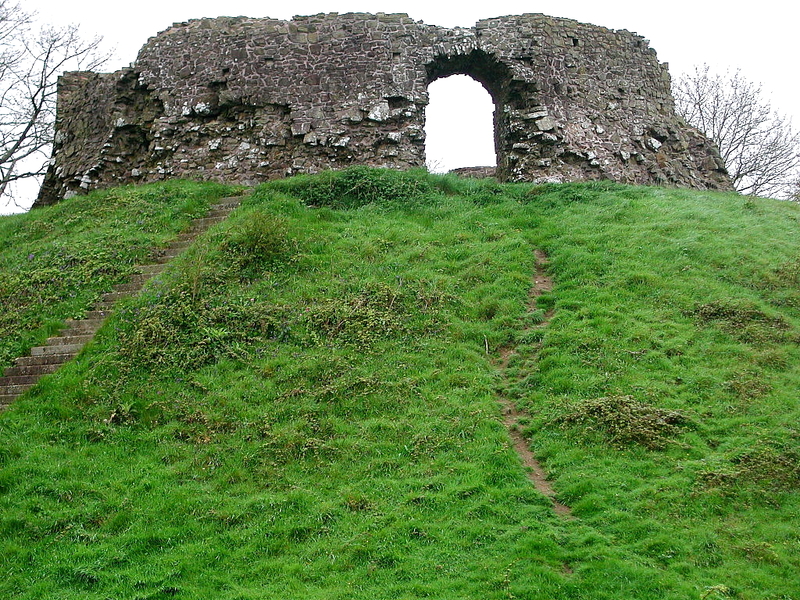 Wiston is considered one of the finest surviving examples of motte and bailey castle in Wales, one of only six to have a stone shell keep on its summit. Whatever happened after 1220, the castle was abandoned abruptly at an unusual and intermediate stage in castle development. 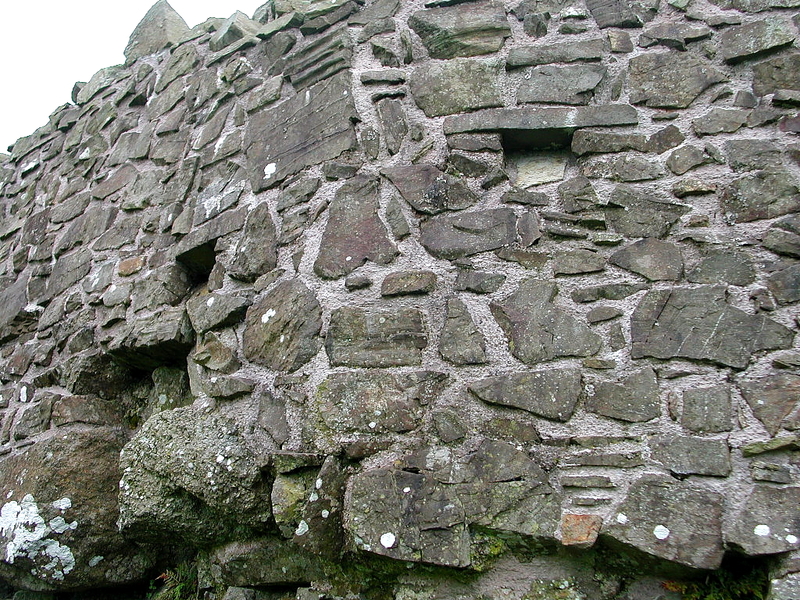 The original wooden tower had been replaced by a stone shell-keep, but there were no further masonry additions, and thus the early stonework remains clear and unobscured. 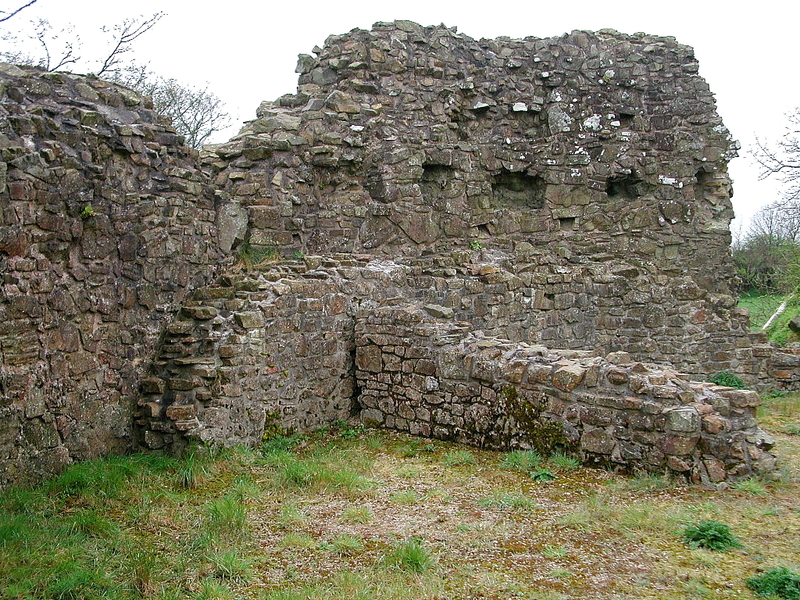 Below: interior view of the keep at Wiston Castle. 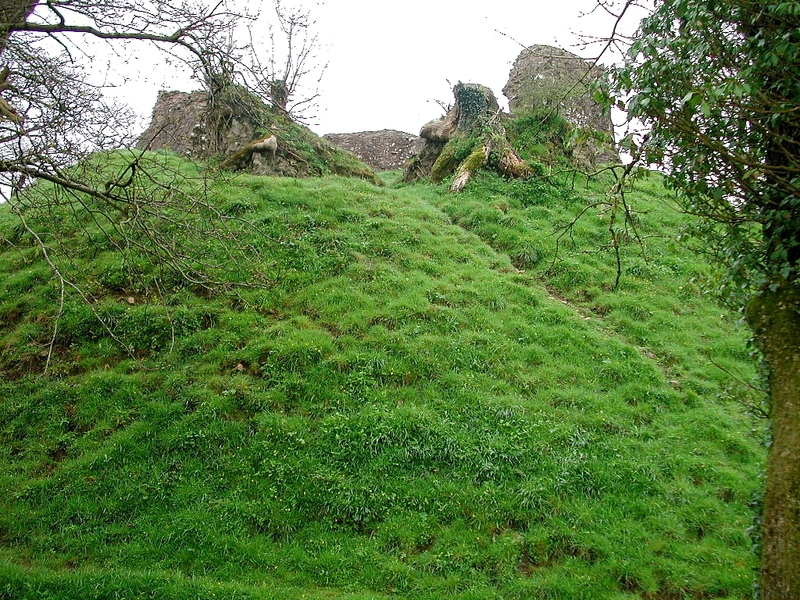 The castle is situated on a high hill on the north side of the village of Wiston. 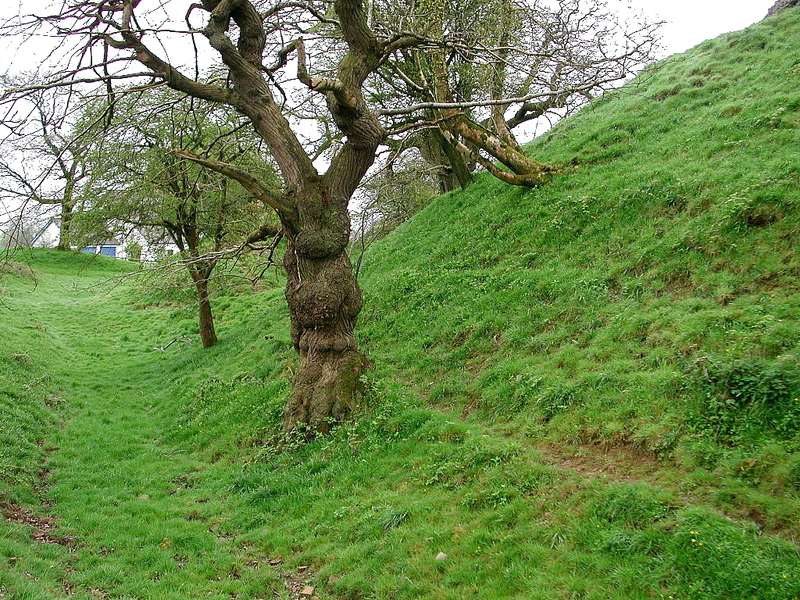 The motte stands some 9m above the bottom of the deep encircling ditch, and is 18m in diameter at its summit. 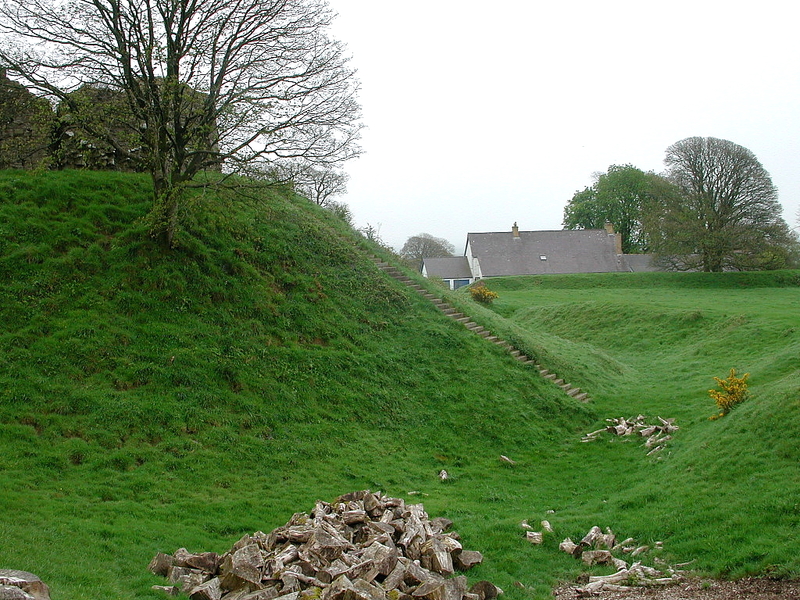 Upon the flat top of the mound is the shell-keep, or encircling stone wall, which would have formed the main defence, and within which would have stood other buildings, probably of timber. The shell-keep is circular internally, but externally the wall face is polygonal with 18 sides. 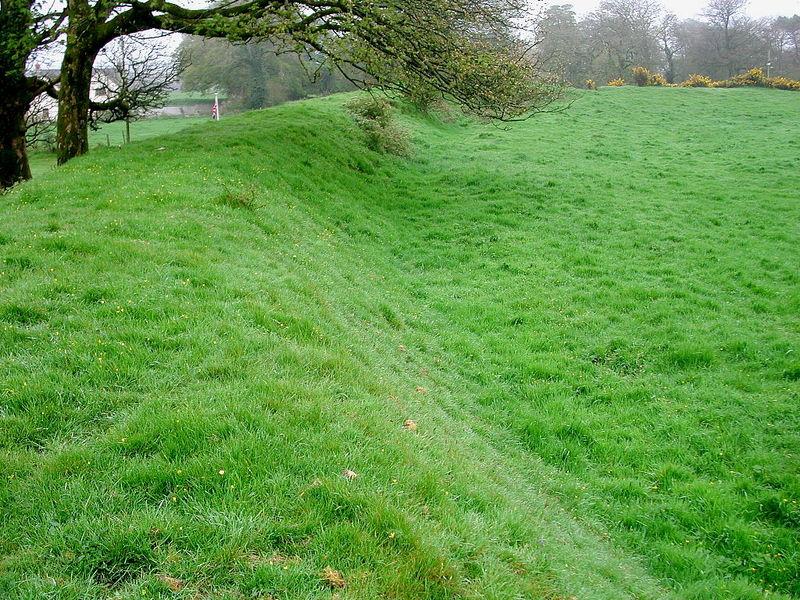 Sections of the northern side of the wall have fallen toward the ditch. On the south side, facing the bailey, is the arched entrance on either side of which are deep draw-bar holes for securing the wooden gate. 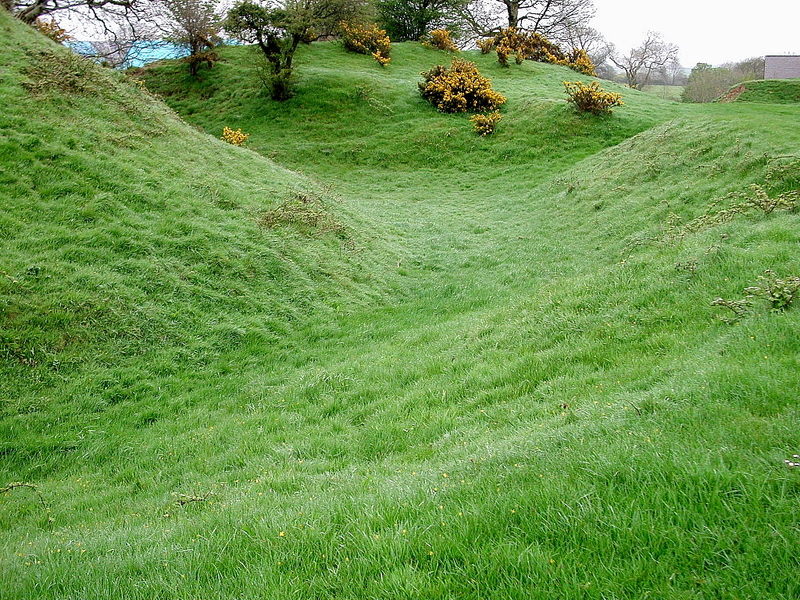 The large oval bailey is surrounded by an unusually well-preserved bank which crosses the motte ditch to the mound. The strongly protected bailey would have enclosed the main residence and ancillary buildings of the lord. 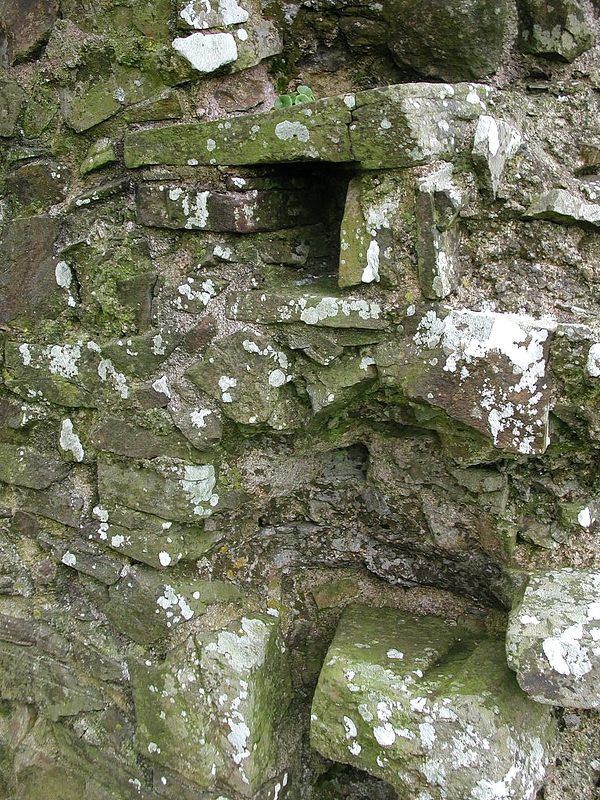 Below: two views of the surviving masonry at Wiston Castle. Below: view of the large bailey at Wiston from the gate of the shell keep. Wizo seems to have chosen an existing Iron Age enclosed settlement or rath as the basis for his castle. 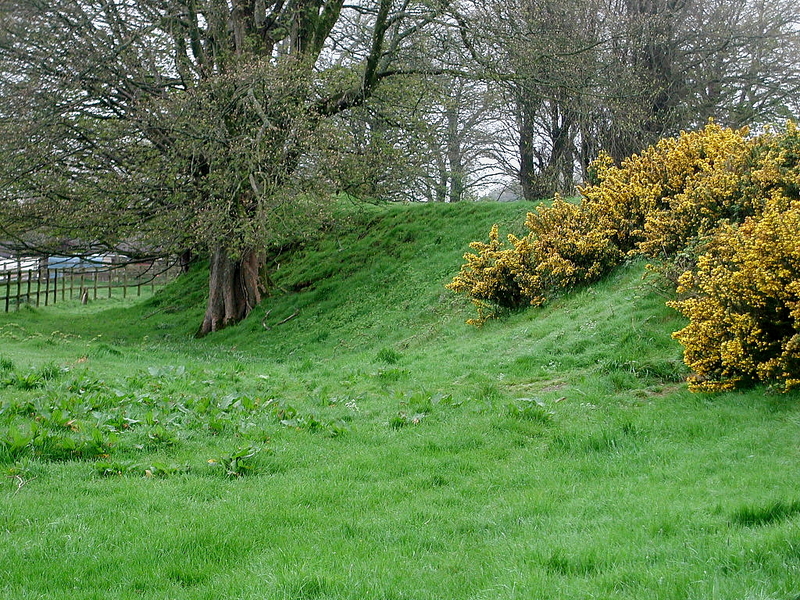 A large conical earthen motte was thrown up across the bank of the earlier settlement, and a gateway was created on the north-eastern side of the rath defences. The unusually large bailey of Wizo’s stronghold probably served to house the borough occupied by the first group of settlers. The prehistoric defences would have provided them with ready-made protection against the newly-dispossessed Welsh. 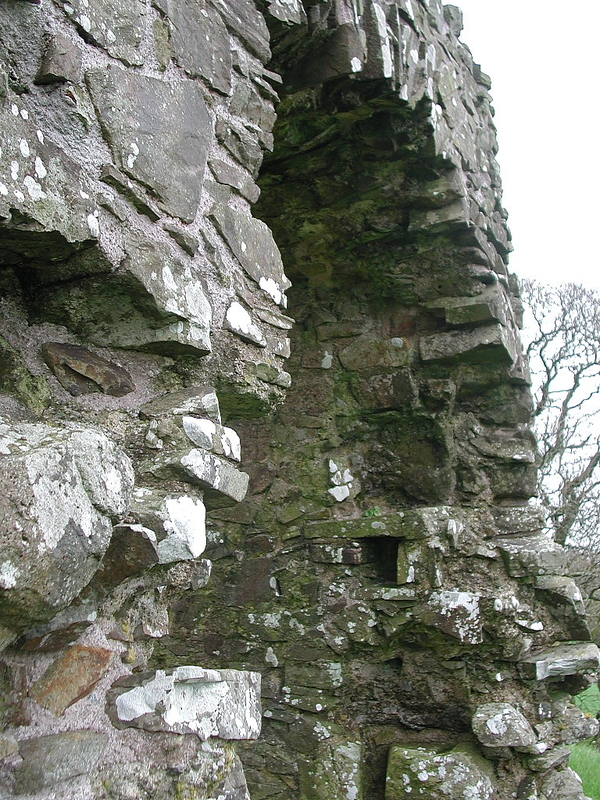 As an earth and timber construction, the original Wiston may not have met the picture we may have of a typical medieval castle. It would, nevertheless, have been imposing and a symbol of Wizo’s new authority. 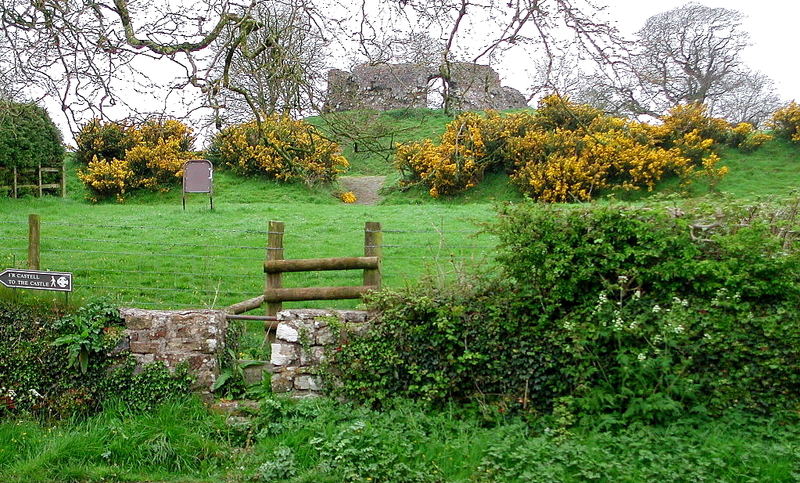 The early history of Wiston Castle reflected its position on the Landsker line - the shifting frontier between Norman and Welsh held lands. In 1147, the Welsh, led by Hywel ab Owain, captured the castle from Wizo’s son, Walter fits Wizo, only for it to be retaken soon after. 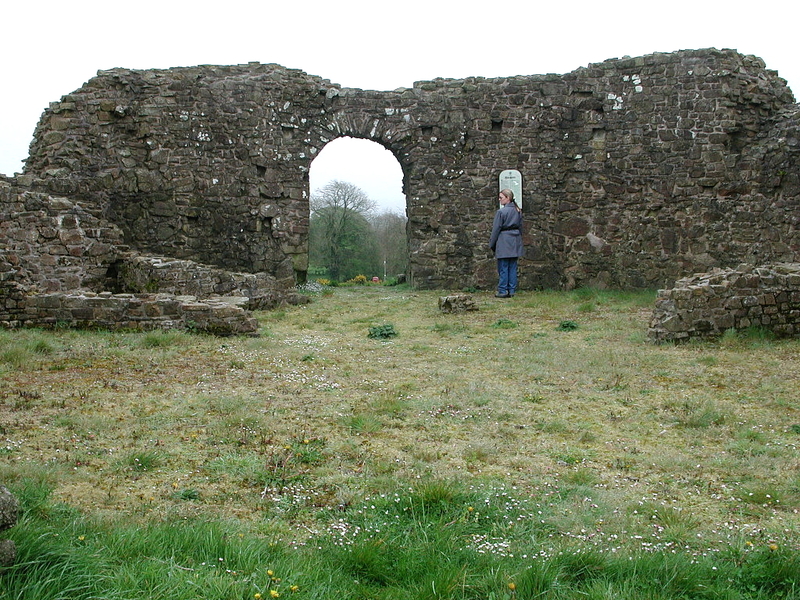 In 1193 the Welsh took the castle again, but the Flemings were back in 1195. 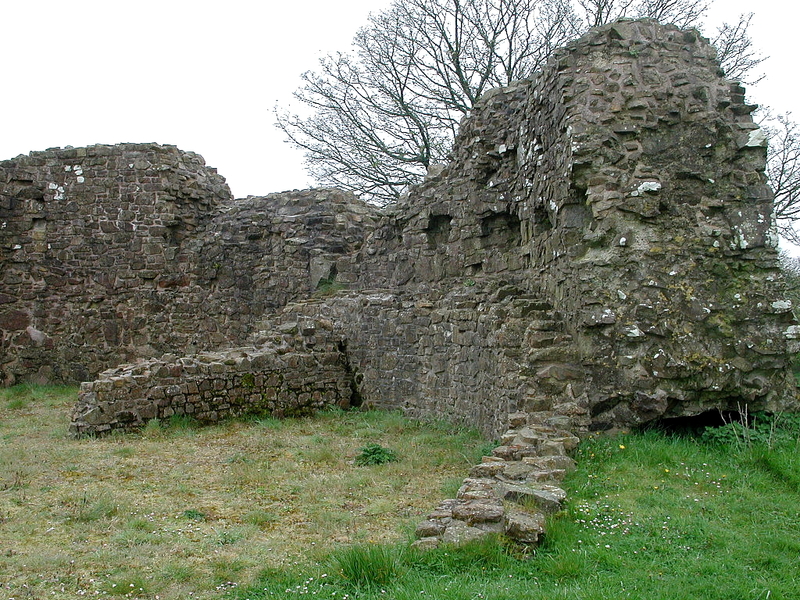 Finally, in 1220, Llywelyn ab Iorwerth (d.1240) destroyed the castle and burnt the town. We know that King Henry III (1216-72) ordered William Marshal the younger, earl of Pembroke (d.1231) to rebuild the castle, but this is the last surviving historical record of the site. The polygonal shell keep probably dates from the early 13th century, and could be the work of William Marshal the younger. 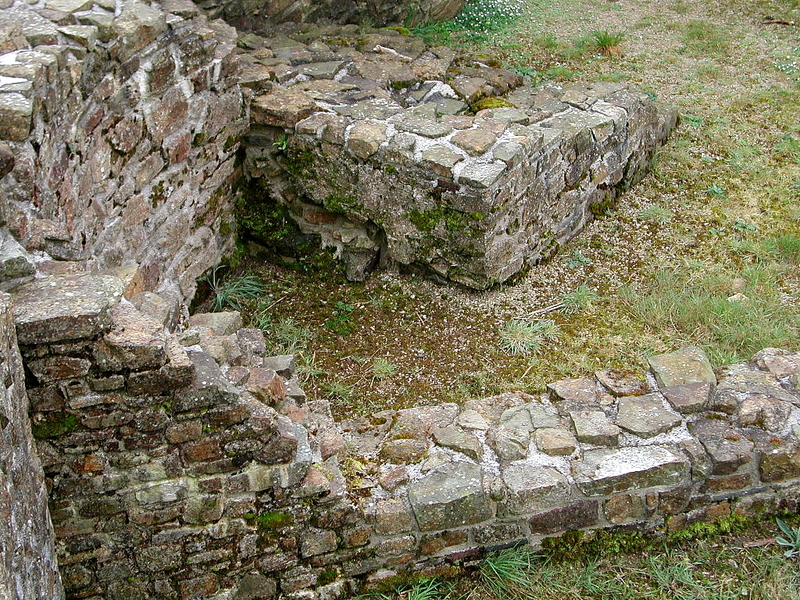 Archaeological excavations have shown that there were two phases of rebuilding in the interior of the keep, and the finds made during the work suggest it was occupied into the 14th century. By this date, the Wogan family had become lords of the manor. Their principal residence was at nearby Picton Castle, though a cadet branch of the family built a manor house just beyond the east side of the Wiston earthworks. This developed into a substantial Tudor mansion, In the 18th century, the motte was included into the parkland as a picturesque feature ringed by a group of sweet chestnut trees, of which a few ancient examples survive. The deliberate introduction of Flemish settlers to south-west Wales by King Henry I was to transform the landscape and culture of the region. The Flemings were to become a thriving and distinctive community, retaining their own language and racial identity for more than a century. In the 1180s, the scholar-cleric Gerald of Wales (d.1223) described the settlers of his native Pembrokeshire as ‘strong and hardy people...a people who spared no labour and feared no danger by sea or by land in their search for profit; a people as well fitted to follow the plough as to wield the sword’. It was the Norman flair for economic reorganization which led them to introduce Flemish settlers to occupy newly-conquered territories and areas of waste land. Such a process of deliberate colonization and manorial settlement was to underpin every stage of their military success. The Normans were by no means unique in this respect; it was the approach also adopted, for example, by the counts of Champagne and Flanders. Driven from their homeland by incursions of the sea and by overpopulation, the Flemings migrated far in search of new lands and economic fortune. 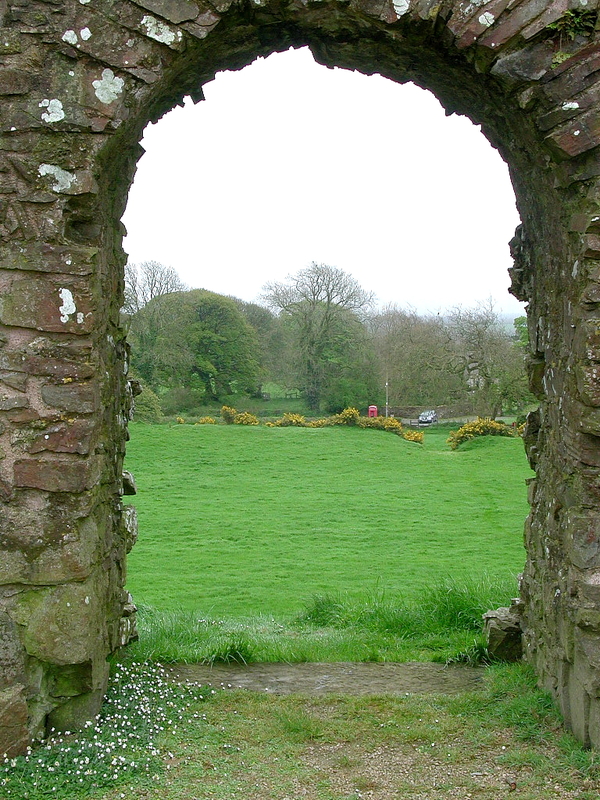 They may well have played a significant part in the Norman colonization of Ireland, and they settled extensively in northern England and parts of Scotland. They also moved east from their homeland, traveling beyond the river Elbe in Germany to settle the native forests of central Europe.